This recipe is perfect for potato cravings and can replace chips. Recipe requires big potatoes, oil, chilli powder and salt. It not only cookies faster but also tastes awesome wanting to make it again and again. I so so hate the routine breakfast of cooking poha and upma, that sometimes I eat noodles for breakfast. So lazy and unhealthy right. But this recipe comes to my rescue at that time. It just requires a tadka and that's i, everything else in it is raw. At times we feel like eating fried food. I usually prepared this recipe as high tea when am in not the mood to prepare the dinner or just plain lazy you can say. I have this and for dinner just rice. This again is a healthy recipe provided you soak the excess oil in poha tikkis. Another recipe for satisfying the cravings of fried food. It requires veggies alongwith corn so can be a healthy snacking option. Requires pretty less time than cooking boring poha and upma. 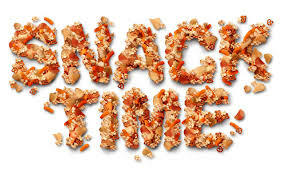 Tell me your snacking favorites!! !